Superior Moving has been in business for 20 years and has earned an excellent reputation in the tri-county area. 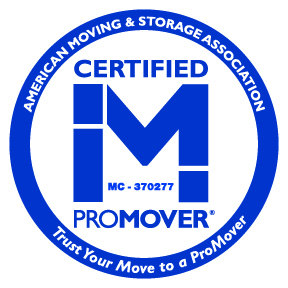 Superior Moving and Storage is fully licensed & insured and complies with all County, State and Federal requirements. We offer Local & Long Distance Moves, International and Office Moves. Our trucks are equipped to adequately service all of your moving needs. All of your furniture and possessions are fully padded with sanitized mover's pads for extra protection. The items are then carefully and professionally packed in quality boxes and packing supplies in a manner that best protects your possessions. Superior Moving enjoys an excellent reputation for honesty, integrity and quality. Whether you're moving across the street, across town or across the country, Superior will be there from start to finish. Precise packing and crating of the shipment is essential when shipping overseas. Our expert packers will determine exactly which items need to be crated for shipping, as well as exactly how to best prepare and pack each item specifically. Last minute moves are no problem and there are no hidden costs so you can save money without sacraficing quality. And there is no extra charge for weekend moves. Remember that no move is too big or too small. Friendly estimators will visit your home to discuss all your specific moving needs and access every aspects of your move. Youll be provided detailed information about Superior Moving and Storage, as well as an easy to read computerized estimate and inventory page. Superior Moving and storage offers complete packing and unpacking services; using only the best materials and skilled personnel. Relax and let Superior Moving and Storage help you with all your moving and storage needs. Superior Moving and Storage offers full wood crating services for glass, marble tops, as well as antique furniture or pianos being shipped internationally. Your most valuable possessions are safe and secure in the capable hands of Superior Moving and Storage. Our fleet features large full equipped moving trucks, state of the art tractor trailers, as well as generously stocked pack vans to accommodate any size move, small or large. At Superior Moving and Storage our customers are our most prized asset and VIP treatment is standard with all moving services. We offer top notch packing materials at very competitive prices. We can even have your packing materials delivered directly to you, on the same day you place your order. Making your move easier and stress-free is priority one at Superior Moving and Storage. Feel secure, our employees are licensed, bonded and insured. Enjoy peace of mind and let our well qualified staff and friendly uniformed professionals, assist you with all moving needs. We are proud of our storage facility, which is 100% fully AIR CONDITIONED and offers 24 hour surveillance and security. We welcome you to visit our immaculate storage facility at any time. Superior Moving and storage specializes in local, long distance, and international moves. Whether your move is residential or commercial, we are exceptionally experienced and eager to exceed your expectations as moving professionals.